Prof. Dr. med. Dr. hc. The Department of Nephrology at the Preventicum Diagnostic Clinic offers patients an accurate and quality diagnosis of the entire spectrum of kidney diseases. The specialists of the medical institution have all the necessary state-of-the-art equipment to provide high-quality medical care. The department is headed Prof. Dr. med. Dr. hc. Thomas Philipp. Kidneys are a sensitive filtering organ. If the kidneys are not working properly, the human body suffers not only from improper blood purification, but also from high blood pressure. Kidney diseases lead to decreased productivity, and human bones become porous. High blood pressure, rheumatic, inflammatory and autoimmune diseases cause special damage to the kidneys. Undiagnosed diabetes is one of the main risk factors for kidney damage. Doctors of the department use modern methods for the treatment of chronic kidney diseases accompanied by problems with blood pressure and diabetes. Prof. Philipp is the head of the Department of Internal Medicine at the University Hospital Essen (1998-2007), and now co-founder of the Preventicum Clinic. At the same time, he was the head of the department, specializing in the treatment of kidney and hypertension (University Hospital Essen), where he founded the leading Center for Liver and Kidney Transplantation. 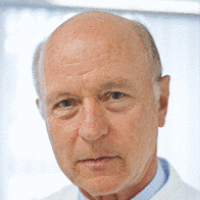 For many years, he was a member of the board of the German Hypertension League, the German Society of Nephrology and the German Society of Internal Medicine. In addition, Prof. Philipp is the author and co-editor of medical publications, for example, journals on kidney diseases and hypertension, clinical nephrology, etc. He is also the owner of various honorable prizes: the Boehringer Ingelheim Award, the Franz Gross Award, the title of the Honorary Doctor of Nizhny Novgorod. In the Preventicum Clinic, Dr. Philipp examines patients suffering from kidney diseases and hypertension. Clinical immunology and transplant medicine are also areas of his specialization.